Size always matter when we want to upload something on the website. High quality video needs to be compressed into a small size one in order for it to upload quickly. We can do this easily through Adobe Premiere Pro! 2. Choose Format. On the top right menu, Export Settings > Format. Choose desired format. 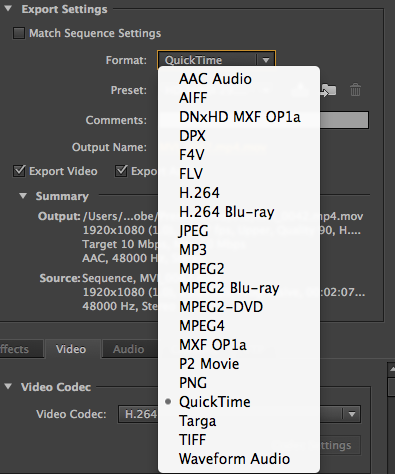 *Most commonly used options are QuickTime, MPEG2, MPEG4, H.264, and FLV if you are exporting for web video directly. 3. 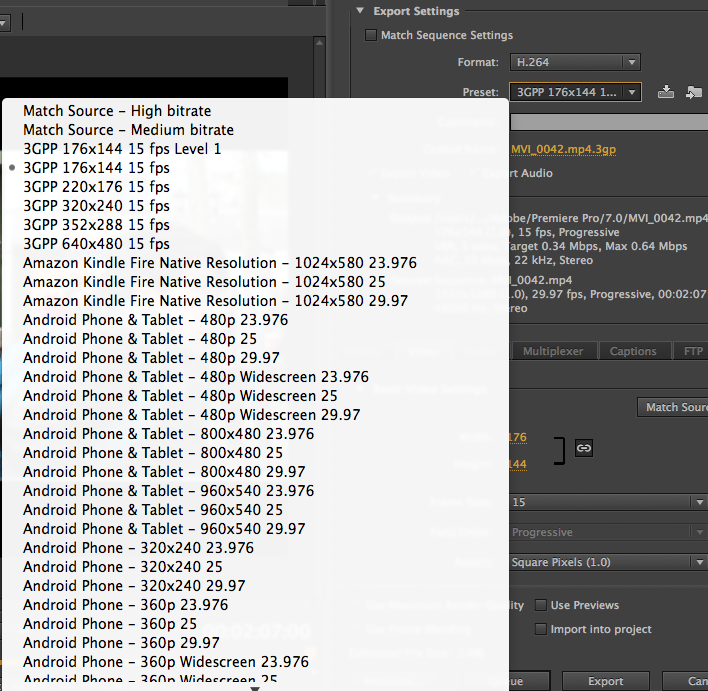 Under Preset menu, when you choose H.264(most commonly used format) from Format menu, you will get options like these. + Preset menu option changes according to what Format you choose. 4. Under Summary box area, there is a box with many tabs that has effects, video, etc. Under Video Tab, you can change Basic Video Settings. Adjusting Width and Height can also reduce the size of your video but it will change the ‘Preset’ menu to Custom setting. 4. Always check your Output Name (Under Export Settings) before exporting. ~ by reginapark on November 13, 2013. This was really helpful and I wish I had seen it before exporting my footage earlier. I think it would be helpful if you could explain what you mean by “but it will change the ‘Preset’ menu to Custom setting.” To which Preset menu are you referring? 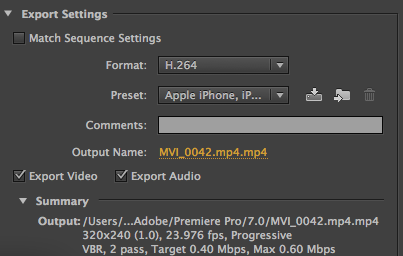 I’m not quite sure if I now know how to compress a video. 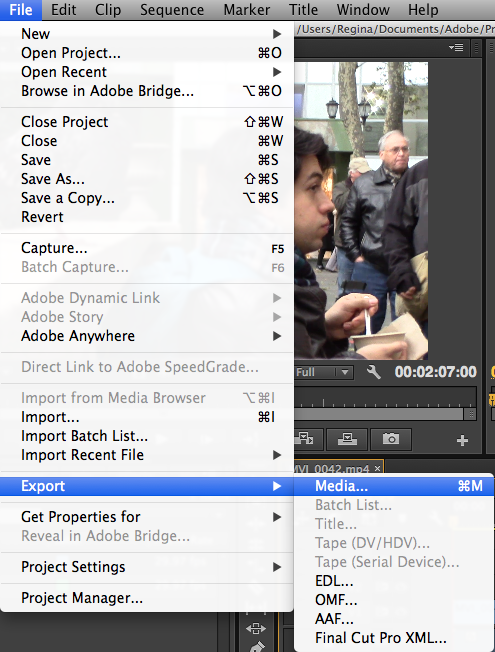 Your tutorial details the export process but not how to compress the video. In addition I think it would be a good idea to give a couple of reasons why one might want their video compressed other than to upload them to the web more quickly. The drop down menus are a little confusing too as they are the export process and not the compression process….or are they the same thing?? These should be clarified in order to for this tutorial to be successful.